"Denver's Award Winning QuickBooks Consultant Since 1995"
You deserve high quality QuickBooks training and help, no matter which version of QuickBooks you use. You have invested a lot of time and effort in working to make your business successful. Whether you are just starting out, or have been in business for many years, you want an accurate financial reporting system. 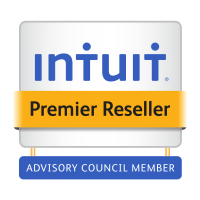 Marilyn was named a Top 100 QuickBooks ProAdvisor. There are over 100,000 ProAdvisors in the world. 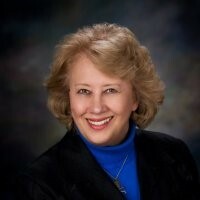 She also is the only person in Colorado Intuit has selected to be a QuickBooks Trainer. She has 19+ years working with all levels of QuickBooks users. Marilyn’s specialty is tackling those difficult issues you are not able to solve yourself. Here are some on which she has worked. Conversion from other software programs such as Peachtree, Acc-Pac, Great Plains, Solomon, Quicken, and some very old programs from the 80s and 90s. Analyzing and fixing files that have become so large they are crashing the computer and/or corrupting data. Fixing files that were set up incorrectly, bringing them up to date and creating reports so you can make GOOD management decisions based on GOOD reports. Setting up QuickBooks Enterprise files correctly. Setting up and integrating files from other software programs where QuickBooks many not be able to handle necessary functions. You can use Quickbooks for the accounting and a 3rd-party add-on for the other purpose such as manufacturing, distribution, project management, very large inventories, comissions, etc. Some of these programs are listed on the 3rd-party add-on tab. A number of compaines manufacturing products including liquids, metals, fabric, combinations of materials, etc. Working with sales and use tax issues to make sure the taxes are being collected and remitted properly. Even though she is a CPA, she does not do taxes, audits, or bookkeeping. She has chosen to concentrate on QuickBooks training to help you solve those x#&%!> challenging issues. If you’ve been using QuickBooks for many years, Marilyn can help you move to the next level of expertise. Maybe you think you have exhausted the capabilities of QuickBooks but don’t want to leave the comfort level you have established with software that is familiar to you. There can be a number of options. It may be as simple as finding out there are functions within QuickBooks of which you are not aware. Perhaps you will need to move to another QuickBooks package. Or maybe there is an add-on package that will allow you to keep QuickBooks for your accounting and have the add-on fill the other need(s) you have. To help ensure that you get quality help and training, Marilyn attends anywhere from 2 – 5 national QuickBooks and QuickBooks related training seminars and conferences every year. She spends, on average, about an hour each day on tech support websites, reviewing issues that may have come up from other ProAdvisors throughout the international QuickBooks ProAdvisor networks. The cost of belonging to these groups ranges up to $1,000.00 each year. She frequently attends training on the web that relate to specific QuickBooks topics. Call Marilyn at 303-949-2865 for the quality training you deserve. Or contact her via the Contact Us page.